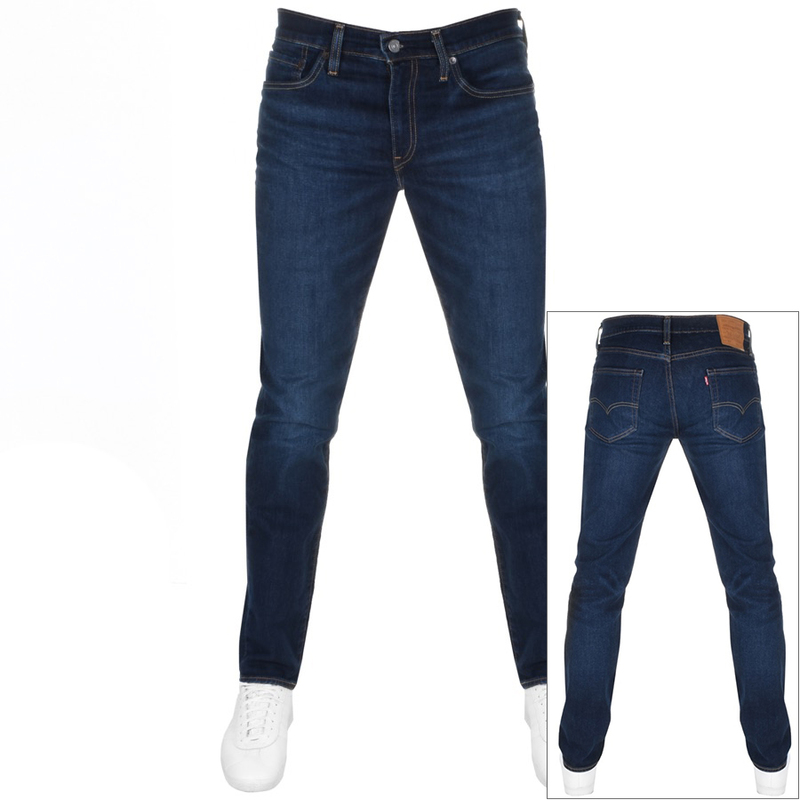 Levis 511 Slim Fit Jeans In Zebroid Adapt Blue, These jeans have a rise which sits just below the waist and a slim leg from hip to ankle. Light intentional fading overall the denim with a 3D crease effect to the thighs. A zip fly with a Levis logo embossed top button fastening and five belt loops on the waistband. Classic five pocket design with two pouch pockets on the hips with a small coin pocket within the right pocket and two pouch pockets on the reverse. The signature Levi Strauss leather logo patch is on the reverse right of the waistband in tan brown with the woven Levis pinch tag sewn into the reverse right pouch pocket in red and white. Top stitch detail on the reverse pockets and all the seams in golden orange and yellow. 99% Cotton and 1% Elastane. Brand New Stockist Of The Brand New Range Of Levis Jeans Live Online. Massive selection of different brands and well priced,lots of sale items too.